It was a busy week in the gym and the theme was good…hard…work! After a busy season with relentless events, trials and competitions we also knew we had to achieve a good balance of serious good fun along the way!!! 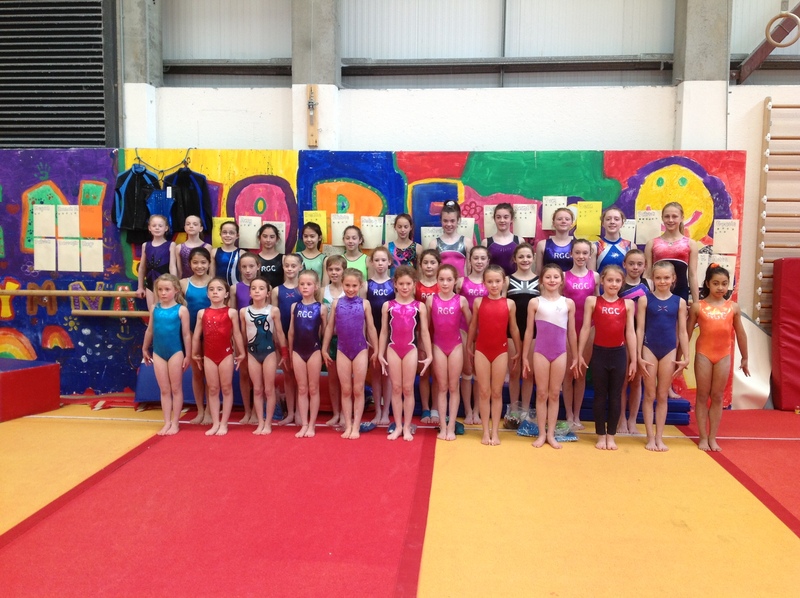 It was a very enjoyable week made even better with visitors from both Ennis Gymnastics Club and DP gymnastics club! In addition to the regular training sessions all campers had a week of working with performance coach Greg Muller who ensured that everyone was put through their paces…. even the coaches!!! Well done to all who made it a great week and congratulations to Anastasia and her team from Russia who took the 2014 House title!!! Highlight moments include Dean wearing a skirt…. Darragh’s tears of the Ocean Dance… the USA performance of American Gymnastics-Football!!!! Well done everyone! 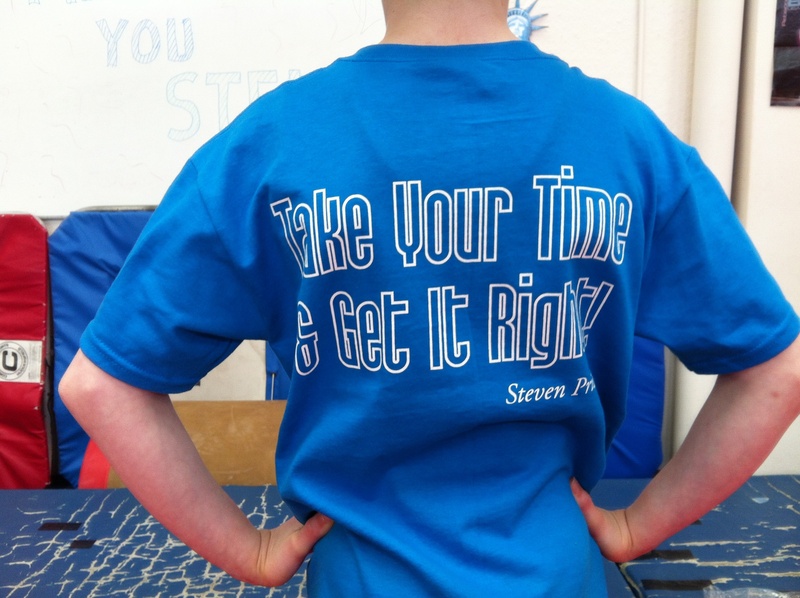 On Sunday June 8th five of our Renmore boys travelled to Portlaoise gymnastics Club to compete in the Mag National 2-4. Victor and Dara were competing at level 4. this was a big step up for the boys as rings, mushroom and high bar are introduced at this level. Both boys performed well on all appartatus. Victor finishing the day in 3rd place taking bronze and Dara who kept his composure under pressure of competing last with all eyes on him as all other competitiors had finished their routine. He went through a good rings routine finishing with a lovely straight dismount. Dara placed 2nd and was delighted to take the silver medal at over 12 level4. Daniel L3 recorded some very good scores on floor, P bars, metal bar but his best score of the day was his vault which he performed very well. Well done Daniel great progress indeed keep up the good work! In the morning Gallius and Thomas competed in the under 10 level level 2. Both boys worked extremely hard and went through lovely floor routines and vault. 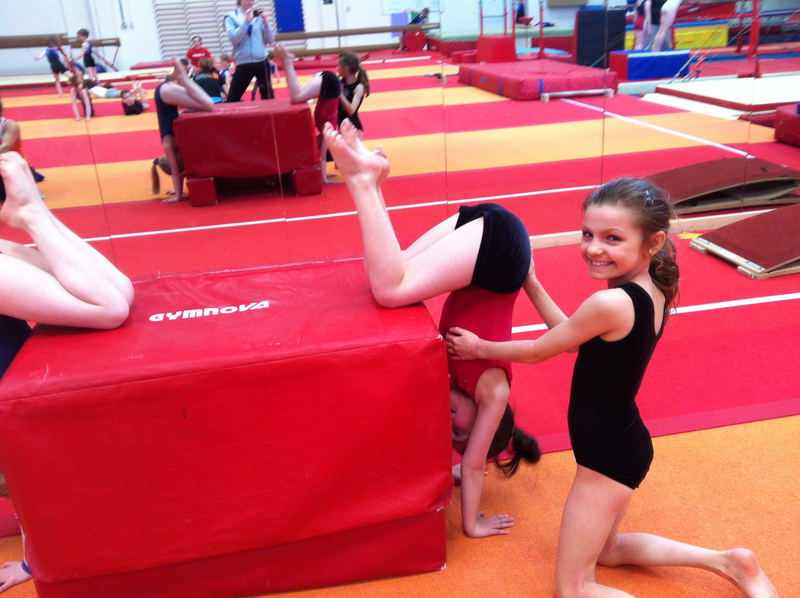 Our ‘star’ of the day was Gallius who outshone all other gymnasts to take home the gold medal. And in his first ever competition! Gallius has worked so hard since joining the competitive squad and really deserved this fantastic result. He was tight, clean strong and stylish and really stood out on the day. He was presented with his gold medal by Mr Barry Winch, former British Olympian. 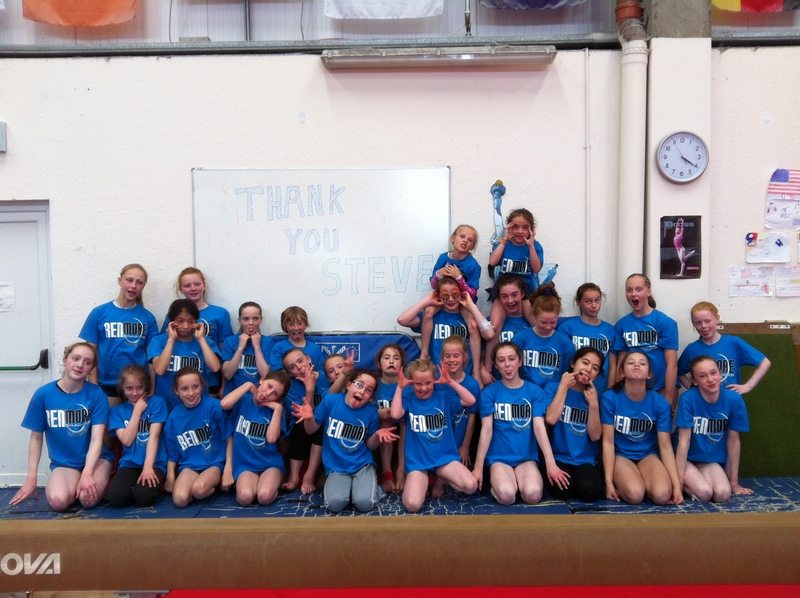 Barry has recently moved to Ireland and is working with Gymnastics Ireland to raise the standard of Mens gymnastics. It is very exciting to have himself and Ben Taylor working with our boys at both the National Start and Development squad sessions. We would like to thank everyone in Portlaoise gymnastics club for hosting and running a great days competition for all the boys. We were made very welcome. Also a big thank you to all the judges who did such a super job. Well done boys. Keep up the good work. We are all very proud of you all! Sunday 25th of May was another great competition for the Rhythmic gymnasts from Renmore Gymnasts Club who participated at the 2014 Triumph Rhythmic gymnastics competition and achieved some outstanding results! It was their first rhythmic competition, well done girls! We are delighted to release the dates for our Advanced Summer Camp for 2014. 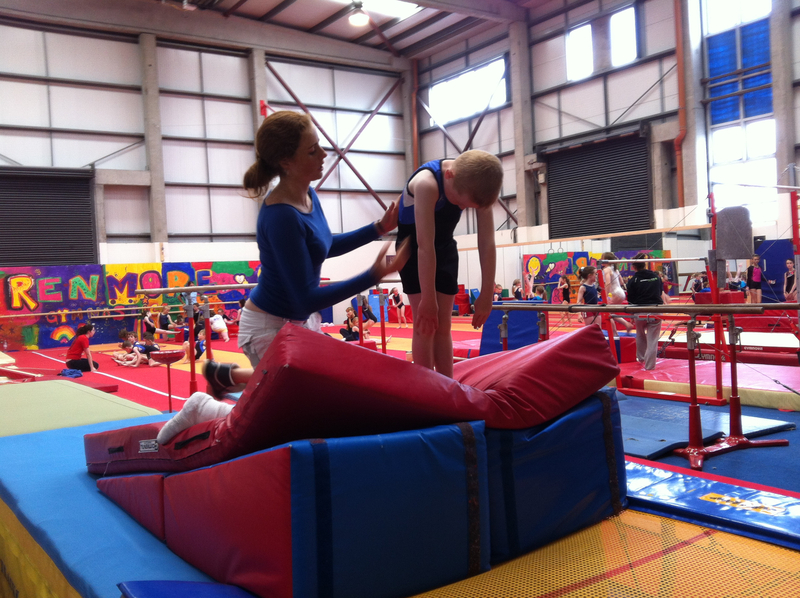 This camp will run from Monday 30th June – Friday 4th July. We hope as usual to arrange a fun day for Saturday 5th July to round the week off nicely. The advanced camp has been a wonderful success over recent years and has proved both highly popular and a lot of fun so be sure to book your space at the earliest convenience. 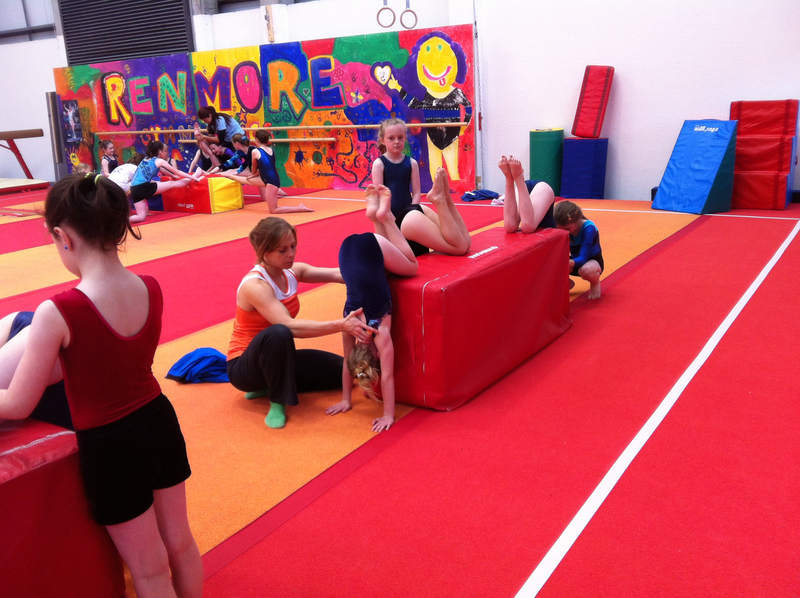 Spaces can be booked at the gym or through email: renmoregymnastics@gmail.com – camp fee = 110 euro for the week and a deposit will need to be paid to secure spaces. Sibling discounts apply as usual. 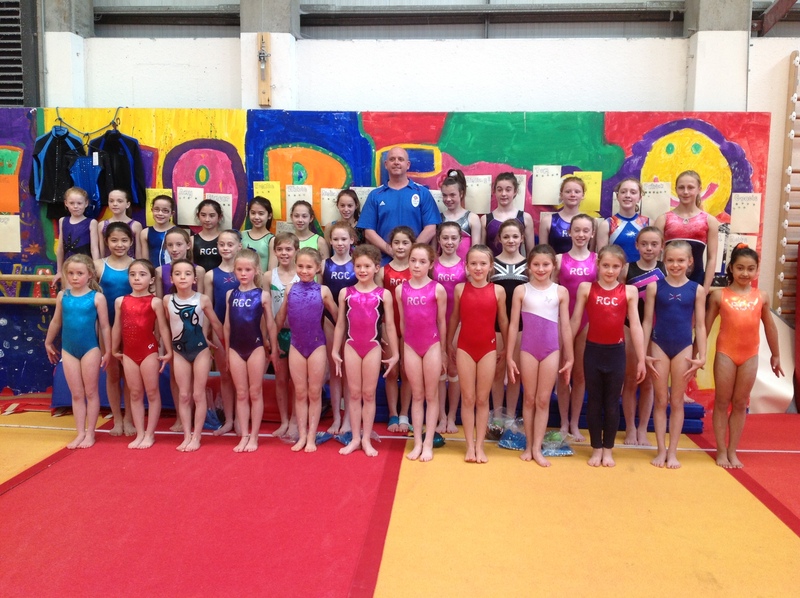 Renmore Gymnastics witnessed a very proud moment this year when they trialled and qualified a record number of girls to represent Ireland across both Minor and Junior teams for the 2014 Celtic Cup Championships. 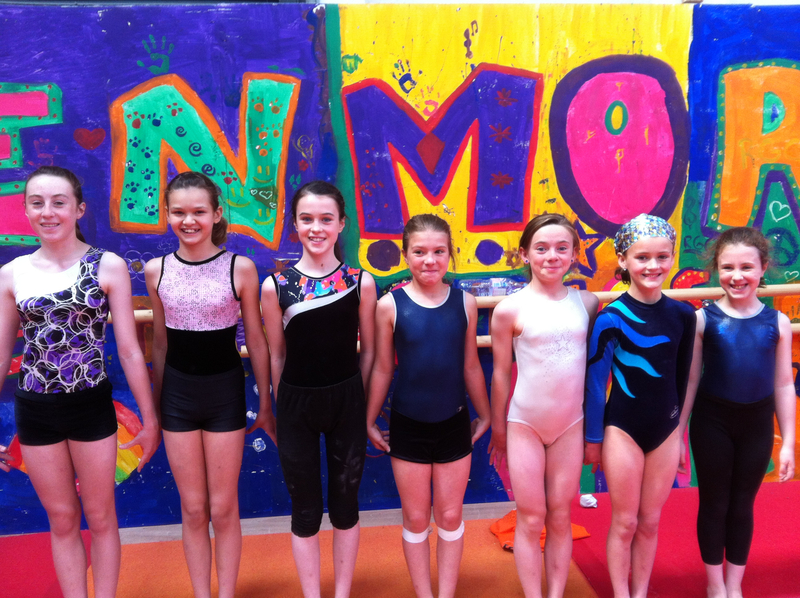 Out of the 12 gymnasts that were selected Nationally one third of those consisted of Renmore Gymnasts’ Emer Shimizu, Amy O’neill, Aisling Fuller and Renmore’s youngest gymnast Emma Slevin who achieved this great result at just 10 years of age. The girls were supported by Renmore Head Coach Sally Batley who was part of the Irish Delegation as one of the National Team Coaches. All gymnasts achieved great results, the Irish Minors team secured the bronze medal position on the podium making history for Renmore Gymnastics as their first gymnasts to return to Galway achieving an International Medal position! The juniors placed 4th overall after another fantastic performance. Great to see the hard work paying off gymnasts, keep up the good work we are very proud of you and your achievements and great result for Team Ireland so well done to all the girls that competed! 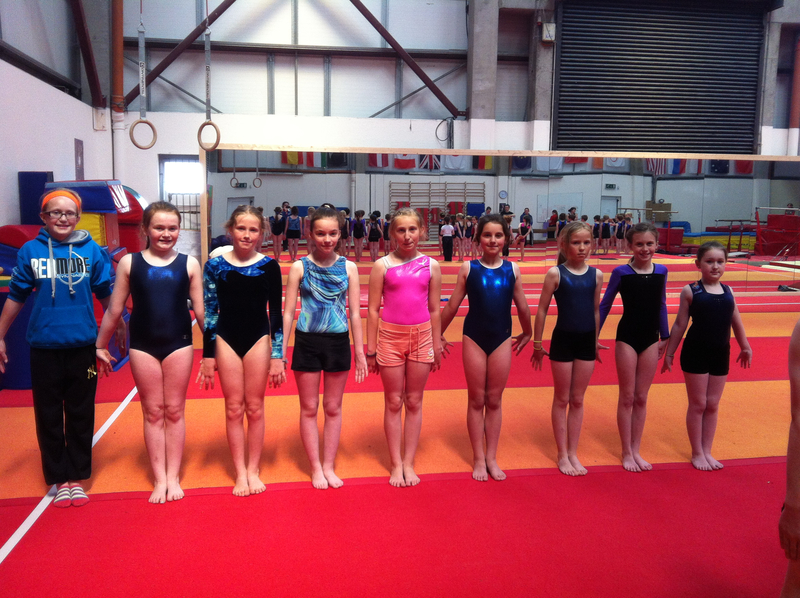 Over the weekend of April 5th and 6th over 50 RGC gymnasts from both Women’s and Men’s Artistic squads traveled to Limerick to take part in National Finals. This busy weekend included the final Celtic Cup trial, the 2-6 teams and apparatus, the 6 -9 apparatus, 6-9+ levels apparatus, and the MAG intermediate Finals. It was busy, long and very very exciting!!!! There were literally so many taking part and so many wonderful achievements that it’s not possible to give a full detailed write up on all performances but gymnasts you did yourselves and your club very very proud indeed. Listed below are results of our medal winners who managed to bring home over 80 medals!!! Great comp everyone!!! 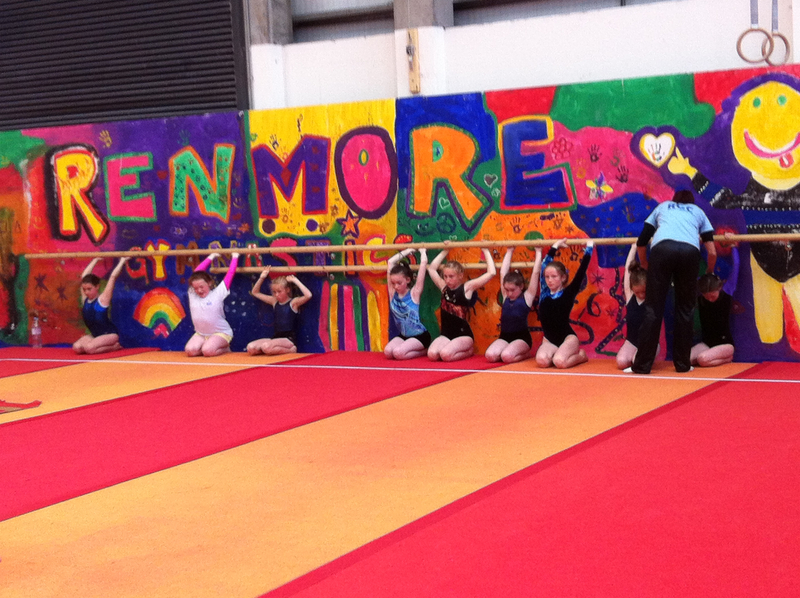 Renmore gymnastics is very very proud indeed of all its gymnasts, none more so than their National athletes. Proudly RGC gymnasts have qualified across all 4 of the Women’s Artistic National Squad programmes including the 2016 Olympic Squad, the Olympic Start Squad, International Development Squad and the National Development Squad. Along with these great achievements comes tremendous commitment and very real daily sacrifices for both athletes and their families. These gymnasts train day in day out rain or shine, some up to 25hours each week, they all have very big dreams and demonstrate unwavering dedication in their path to support their goals. They focus constantly on the task of going beyond their comfort zones, they learn that adversity and suffering help them to experience self-growth and real joy. They work towards an awareness of potential regrets and do all they can to prevent them from happening. We are so tremendously proud of them all and their admirable pursuit of their dreams, they realise that if they want to be the best they have to train like the best, and that in the everyday sessions EVERYTHING they do (or don’t do) matters. 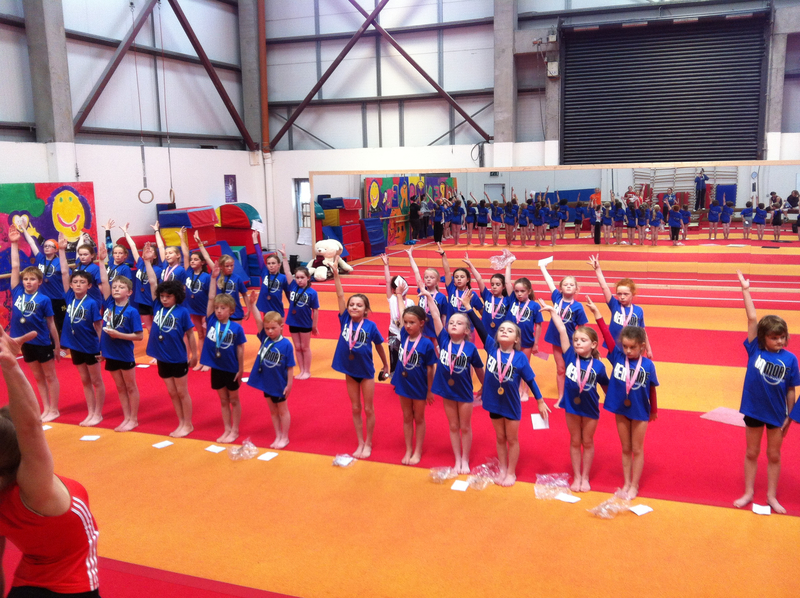 We would like to introduce our girls to you… the wonderful athletes that are training daily within our training centre. On Saturday 29th March eight RGC gymnasts traveled up to Belfast excited to participate in the first Plus Levels National All Around Finals. This event introduced a progressive new competition route for gymnasts working towards Elite levels in the future and certainly was a refreshing change of format to watch and participate within. 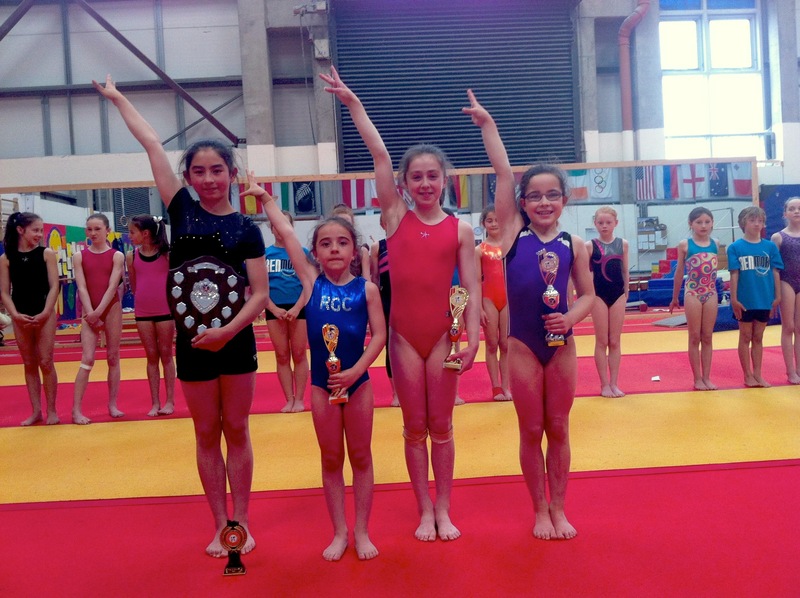 Starting at 6+ our under 11 years group comprising of Emma Slevin, Kate Molloy, Jane Heffernan and Daniela Goluba had a large pool of 12 gymnasts and a very exciting competition on their hands right from the start! This was one of the closest competitions I have ever seen in Irish Gymnastics with less only 1.4 separating first place (55.80) and 7th place (54.20)!!! Renmore’s Kate Molloy started out very strong indeed with the highest beam score of the group (11.70), moving to vault and maintaining a great line in her vault to see her ranked 5th in the vault scores (12.15) after which she made her way confidently to bars and swung her way to hitting full bonuses and the second highest bar score of the group behind Trojan’s Laura Cronin. Kate looked both relaxed and focused and very sure of the task in hand achieved a greta bar score (11.9). A good steady floor and a nice score of 10.75 put Kate as a real contender and a force to be reckoned with right up until the final rotation. However her final piece of the day Range and Conditioning which despite showing good progress was rushed a little during the second half of the routine resulting in a lower score (9.05) and leaving Kate in 4th place and just off the podium by 0.15 scoring 55.55 overall! Great competition Kate keep up the hard work! She’s a great competitor to watch and that was a tough outcome as she was placed 2nd going into the final rotation! Only .55 behind her in the final rankings was Renmore’s Jane Heffernan who also showed great determination throughout the day. Despite a recent elbow injury Jane marched out to compete with some simplified routines and a great attitude to give it her all. A shaky start on beam and 2 unexpected falls could have been a point to let frustration get the better of her but she keep the head up and the focus sharp and moved onto Vault where she placed 7th overall (11.85) with a nice straight front and already looking onwards to bars where the elbow was clearly on her mind. After some nerves during the warm up Jane competed a very strong bar routine and still ranked 5th (11.35) also achieving full bonuses and carrying an unexpected fall on the high bar. Happy to have delivered a good performance and with high spirits she danced her way to a great floor performance (11.2) and the highest range and conditioning score of the entire day across all ages (11.4). In 5th place scoring 55.00 with 3 falls really does show great potential for this young gymnast and also demonstrated great competition spirit. Not far from her heels was Emma Slevin who finished on this occasion in 7th place with 54.80 and also carrying an unexpected fall on Beam right at the start of the day. Despite this she was in 6th place moving onwards to Vault performing a beautiful Straight front ranking her in 2nd place (12.35) and moving back in the right direction. Excited and focuses she moved onto Bars hitting a lovely bar routine and swinging some nice lines in a routine containing like her teammates upgrade bonuses, with a great score of 11.4 we moved onto Floor where Emma leapt, danced and performed upgraded tumbles and a great routine scoring 11.1 and leaving her motivated for the final battle of the range and conditioning routine. On this occasion nerves where visible as she took one or two large wobbles at the start of the routine and then rushed through the second half resulting in a lower score and leaving her in 7th position. Some beautiful work though Emma so don’t be too disappointed, and good luck next week as she moves up to 7+ with her older teammates Aisling and Alex! On this occasion it was Daniela’s day. She took the top spot and won the Gold medal overall with good solid clean performances after a slightly slow start on beam (9.7). Carrying a fall from her first piece Daniela whom loves to compete smiled and enjoyed every rotation and gave 110% on all pieces. Vault and bars are two pieces she has been working very hard to improve and it was great to see her consistently hit routines through determination and persistence. Vault Score (12.1) ranked her 5th on that apparatus , and Bars (11.85) showed she too can swing very well indeed as she begun moving up the overall ranking. Onto floor scoring the 3rd highest floor score (11.4) she went all out with her performance aiming to stay as clean as possible which she did with great style. She marched onwards for the final piece and topped the day with a beautiful range routine achieving the second highest range score of the day just behind Renmore’s Jane Hefferenan and placing her in the top spot with an overall score of 55.80. Wow close comp girls, great spirit, energy and style we are very proud of you all! This was a smaller group with just 3 competitors on this occasion but the competition spirit demonstrated no less determination. Renmore gymnasts Aisling Fuller and Alex-Marie McDonagh battled against Sugarloaf’s Niamh Hutchinson whom is a year their senior and has already represented Ireland during last years Celtic Cup so they knew they had a tough competition on their hands! All three girls competed very well, all carried some small mistakes and it was not obvious at any point what way it would go. The girls started on Vault and Alex-Marie was up first performing her Yurchenko Prep Vault (12.1), she achieved top score here ahead of Aisling Fuller who performed her Tsuk prep scoring 11.9. Both girls moved on very business like onto bars where Aisling was up first and performed a nice clean routine, once again she was placed in 2nd place scoring 11.20 just behind Niamh by .15. Alex-Marie on this occasion took a fall on the high bar but despite this still scored well (10.55) and knew with 6 pieces involved it could still be anybodies game if she can maintain focus and composure which she did very well! Onto beam and a moment of concentration lapse cost Aisling a fall here but with an otherwise very clean performance she was still tied for 2nd (10.35). Alex’s turn to go clean and apply the pressure with a lovely clean performance and achieving full bonuses for front acro and connections she came out with a top score of 11.35 and once again the competition is exciting! Onto loop bar a new and very progressive addition to our competition structure, both girls hit their routines showing they can both swing well and demonstrate nice lines and a also with their own style of preferred close bar element. Once again Alex takes the top spot with a good fight for her clear hip that comes out in her favour and the top loop bar score (11.4) . Teammate Aisling is hot on her heels with and close behing after performing the routine well with the toe onto handstand and scoring 11.1 and once again placing her in 2nd place. Onto Floor and the girls for the first time are being challenged with much increased content and it’s good to see them working hard and making great progress on the routines. It puts them in a better position in the future to start increasing content and difficulty. Routines were clean and steady Aisling scoring 10.0 and Alex just ahead on 10.55. 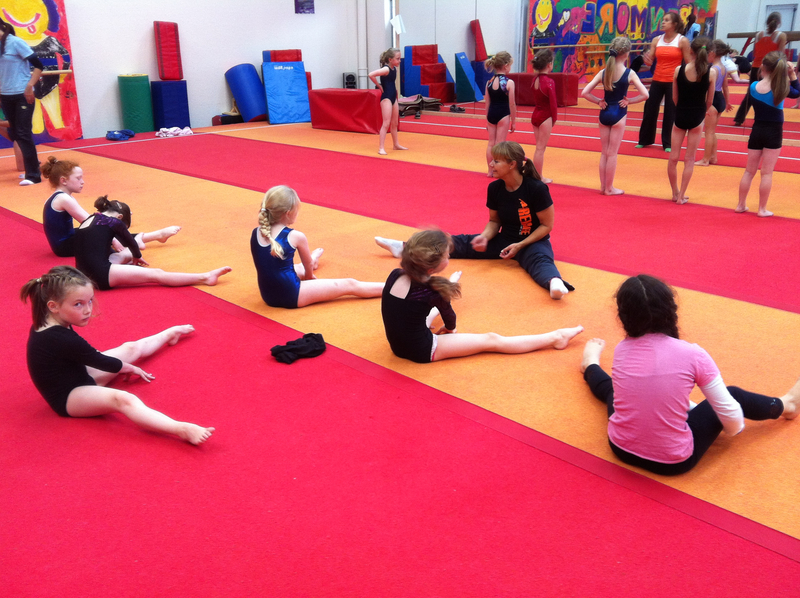 The level 7+ also requires gymnasts to perform the range and conditioning routine and this is a challenge of demonstrating great strength and flexibility within a short floor exercise. Great addition and also interesting to see how this piece can affect the overall rankings completely!! It requires gymnasts to be disciplines to know that Physical preparation is paramount and this can only be a good thing. The range scores across the group were very close and all 3 girls were within .2 of each other leaving us unsure of the overall ranking which ultimately saw Aisling consistently in 2nd place and on this occasion Alex taking the title and the gold medal. Great job girls and great fun competition! Keep up the hard work! Within this category Renmores’ Emer Shimizu and Amy O’Neill had a good fun competition on their hands with no less excitement in their group by any means!!! The girls like their younger team mates have been busy preparing for the new plus levels event and the ongoing trial process for Celtic Cup so it’s been a busy few weeks for the girls! However they were in great form and good spirit as they battled out also across 6 apparatus to both also finish side by side on the podium and top off a great day for Renmore gymnastics. Starting on bars both girls cleanly performed their routines with Emer demonstrating her new routine once again and both appearing relaxed, composed and ready for this event. They finished bars both ranking tied for 2nd place with a score of 11.35. Moving onto Vault and both performing the tsuk prep very well Emer achieving the highest vault score with 12.35 with Amy ranked just behind her with 12.1 and both girls again looking confident and enjoying themselves. Range and Conditioning was next on the agenda and this was always set to be the biggest challenge for the girls. Despite this they both got through their routines carrying some small mistakes and in general some work to do on execution. 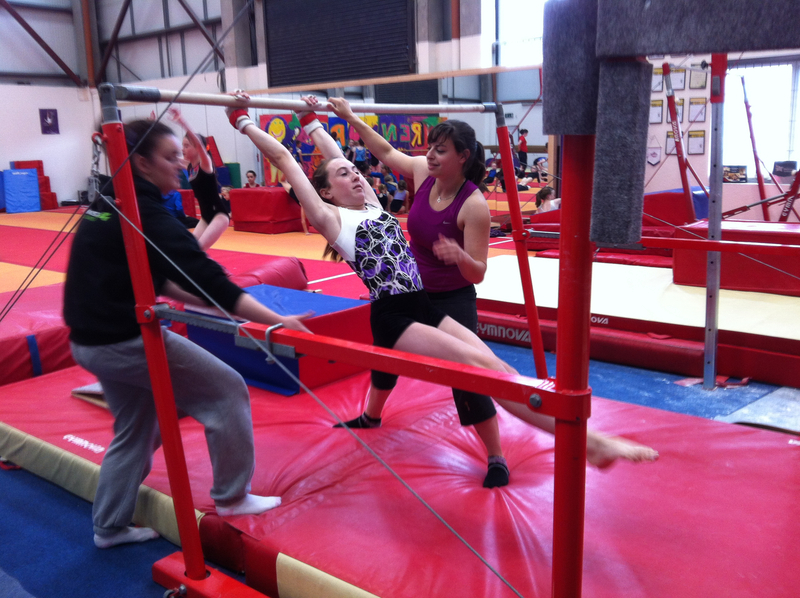 Unfortunately Amy took an unexpected fall here which took a hit on her ranking on this apparatus. With an impressive demonstration of competition spirit Emer ranked 2nd on range with a score of 8.45. Moving onto floor and once again faced with the same challenges of Aisling and Alex the girls have far increased content and it’s certainly a test on fitness and stamina. Both performed good steady floors Emer ranking first on this piece (10.35) and Amy unfortunately not achieving her handstand 1/1 pirouette cost her dearly here and having to carry a low score (7.5) onwards for the final two rotations. Showing some momentary nerves as we proceeded to beam Amy overcome any concerns to finish her competition strong and with great competition spirit. She went clean on beam (10.7) and with great composure and determination she also hit her Loop bar routine (11.2) to finish overall in 3rd position on the podium. Emer also went clean on her beam achieving connection bonuses and showing good consistency across the day and once again taking the top score here (11.25). Onto the final piece Emer performed her loop bar routine with a fight at the end of the routine to hit her clear hip and this was reflected in a slightly lower score (10.15) despite this, overall Emer placed just ahead of her team mate on the podium in second place behind Excel’s India Quinn and IDS teammate. 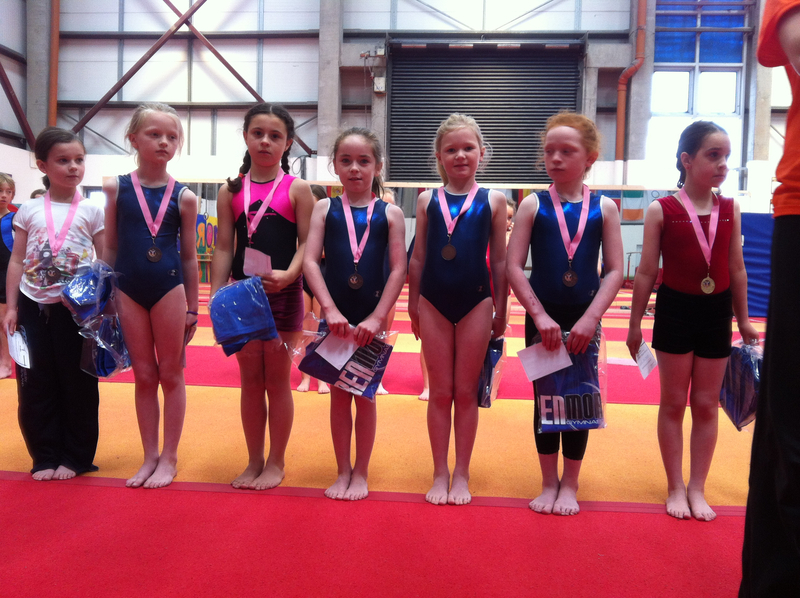 Great competition girls…. great to see you both rewarded for your hard work! 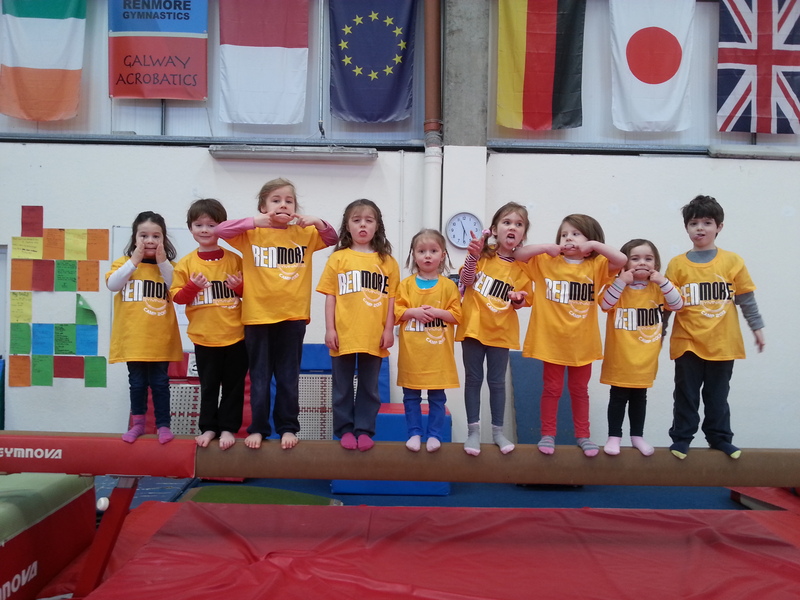 Good luck to all the Renmore Gymnasts competing next weekend in Limerick at the apparatus Final let’s make it a fun end to the competition season! And good luck to all the girls in their final trial for Celtic Cup 2014!